THE WORLD’S NUMBER 1 NAME IN JUICING BRINGS YOU HIS FIRST EVER WHOLE-FOOD RECIPE APP! * OVER 4 MILLION JASON VALE BOOKS SOLD! * OVER 1 MILLION APPS SOLD! 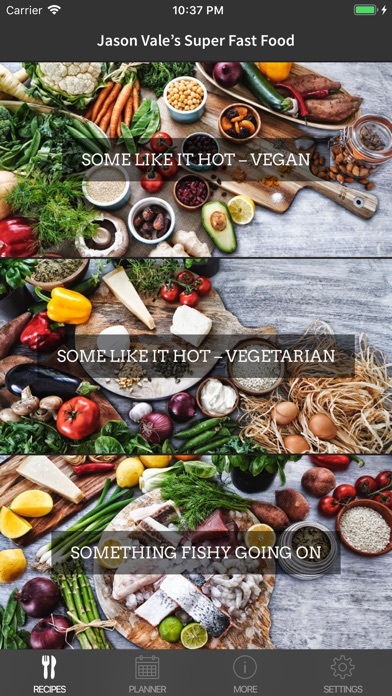 About Jason Vale’s first ever food app... * OVER 95 DELICIOUS ‘GOOD FOOD’ RECIPES * 95% GLUTEN FREE * RECIPES FOR VEGANS/ VEGETARIANS AND PESCETARIANS * NO IN-APP PURCHASES …EVER! * ALL UPDATES FREE FOREVER! 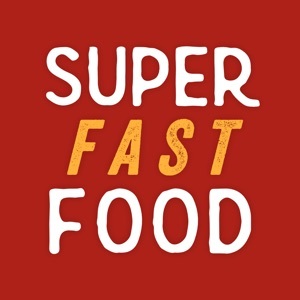 * 7-DAY SUPER FAST FOOD ‘DIET’ PLAN (Two versions, one Veggie one Pesci) * DESIGN YOUR OWN DIET (this feature gives you the freedom to pick the recipes you like and pre-design your own 7-day plan. The app will even auto-generate a shopping list for you for however many days you want it to!) RECIPE SECTIONS INCLUDE: • Wakey Wakey, Rise & Shine • ‘Soup’er Food • Super Salads • Dressed To Impress • Some Like It Hot Vegan • Some Like It Hot Vegetarian • There’s Something Fishy Going On • The Classics • A Bit On The Side • Chips & Dips • Sweet Surrender Jason Vale - the world’s number one name in juicing - brings you his FIRST EVER whole-food recipe app, SUPER Fast FOOD! 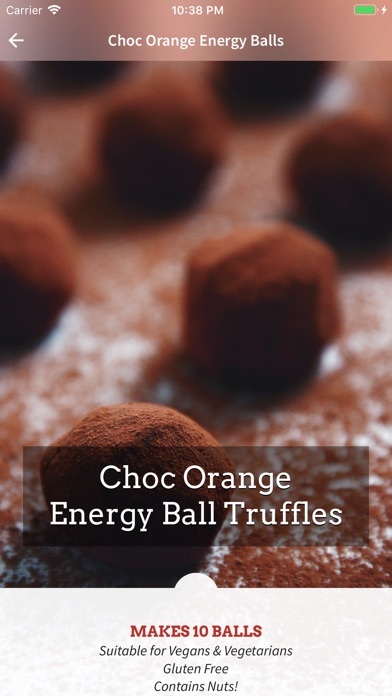 Packed with nearly 100 truly inspirational recipes, from incredibly healthy Super Food breakfasts - that go beyond just juice! - to brownies to die for! You’ll find healthy versions of all the classics from pizza to pasta to risotto and even a healthy veggie burger and fries! Bursting with super salads, super soups, fish recipes, sides, dips, dressings and even sweet treats – whether you’re a vegan, veggie or pesci there’s something for everyone! This is also the perfect app for anyone who has just finished one of Jason's ‘Juice Challenges’ and is looking to create lifelong change. 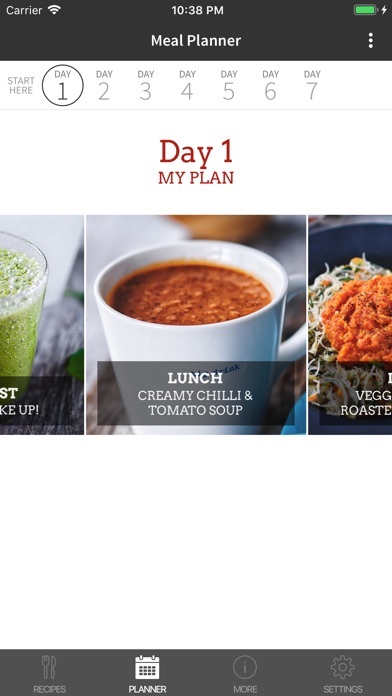 The best feature of the app is arguably the ‘Design Your Own Diet - 7 Day Meal Planner’ function, which takes it way beyond ‘just a food recipe app’. Jason believes that the whole business of healthy eating has been over complicated. This is why you won’t find any strange ingredients that can only be found in an Amazonian rainforest! 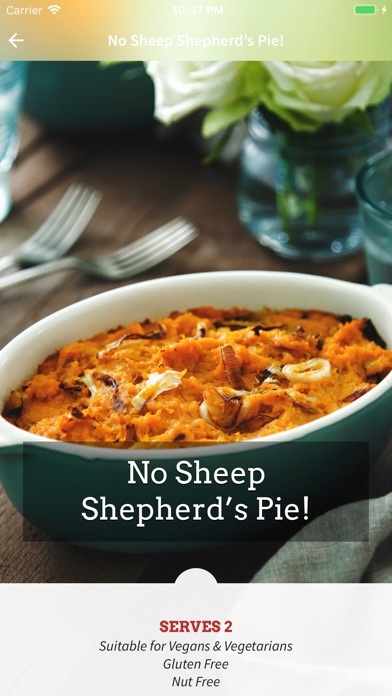 You also won’t need to go to any ‘specialized food’ shops for any of his recipes and anyone can make these simple, delicious, nutrient packed ‘Super Food’ meals. in super fast time. With over fifteen years’ experience writing health books, Jason really comes into its own in this refreshingly uncomplicated look at healthy meals. Jason is a globally respected name in the world of juicing and health; with over a dozen books including his worldwide number 1 best-seller 7lbs in 7 Days: Juice Master Diet, 10 top selling apps and his ground-breaking documentary Super Juice Me! He is also frequently featured on radio, television and in the press in throughout the UK, America, Australia and beyond. 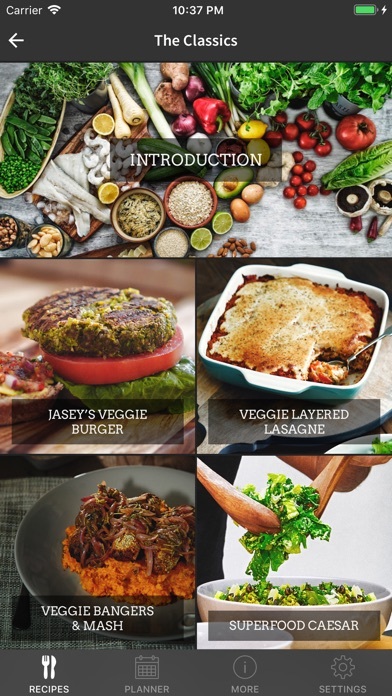 Jason’s unique approach focuses on the right psychology and nutritional tools to make healthy eating easy, enjoyable and accessible to for everyone.